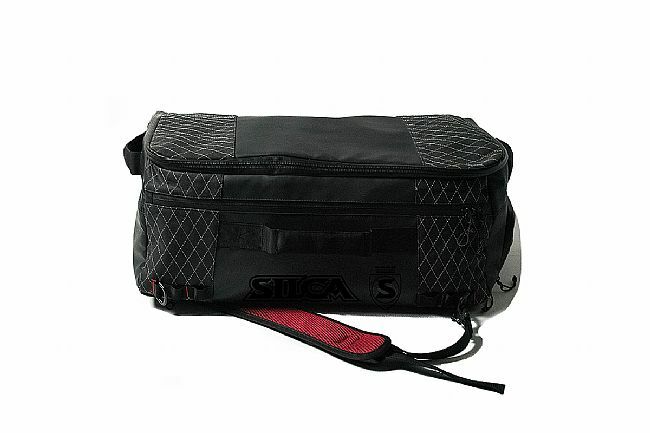 Silca’s Maratona Gear Bag is an organizational and convertible travel bag designed specifically for cyclists. 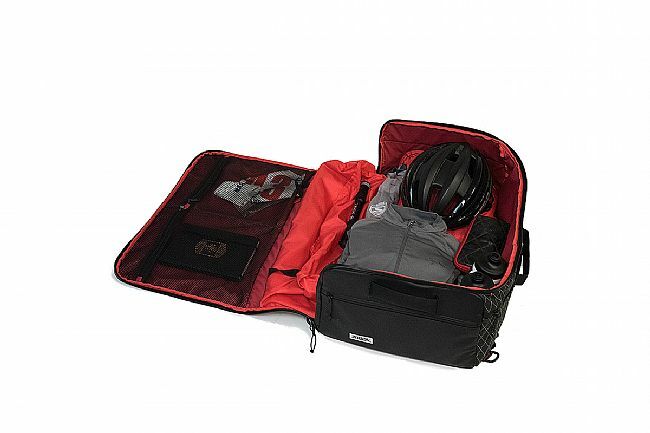 It easily converts from duffle bag to backpack and is optimized for airline carry-on size regulations with up to 10L more internal volume than other carry-on sized bags. 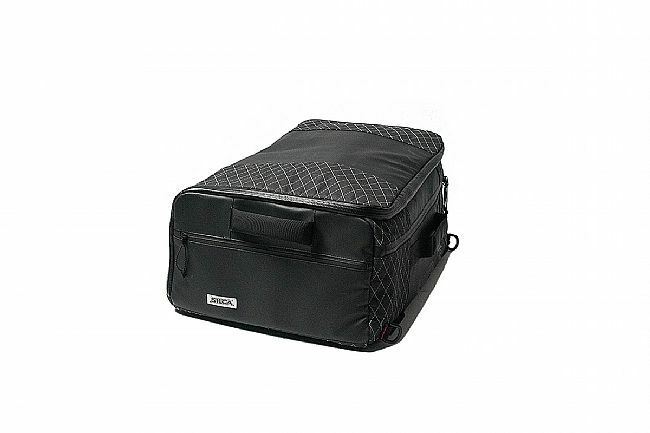 600D and waxed canvas construction with reflective quilt stitching delivers durability and visibility. 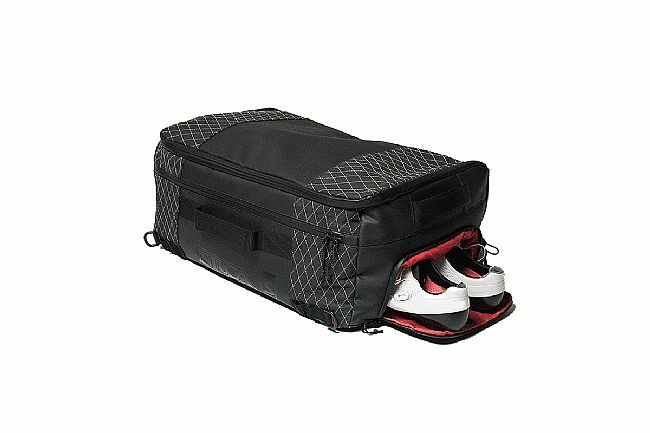 Keep shoes and wet kit separate with vented internal compartments. Internal bottle compartments ensure hydration is never compromised. 600D Cordura & waxed canvas construction. 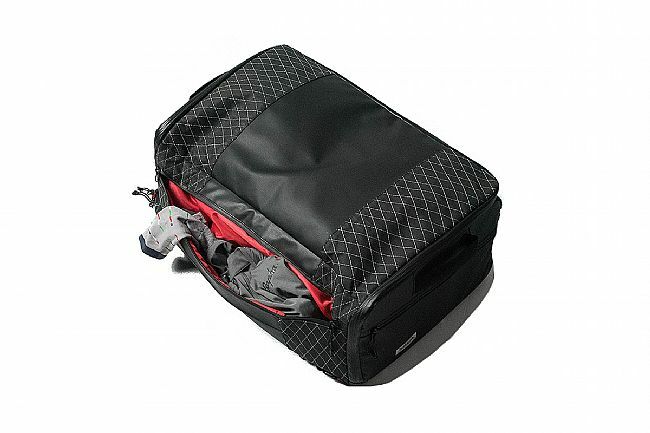 Vented shoe bag w/ internal & external access. Internal bottle & tool storage. Removable & stowable shoulder straps. 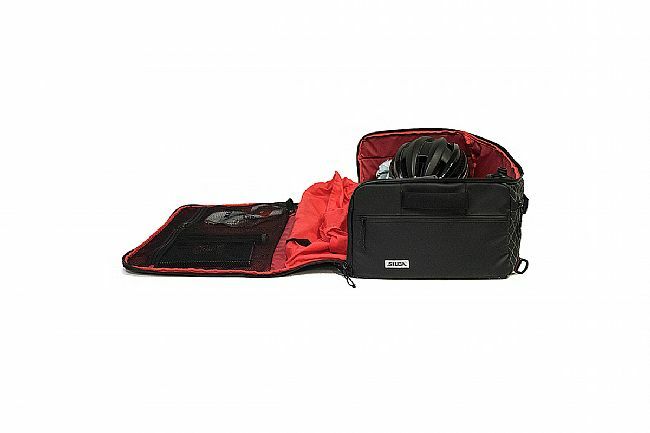 Converts between duffle & backpack. 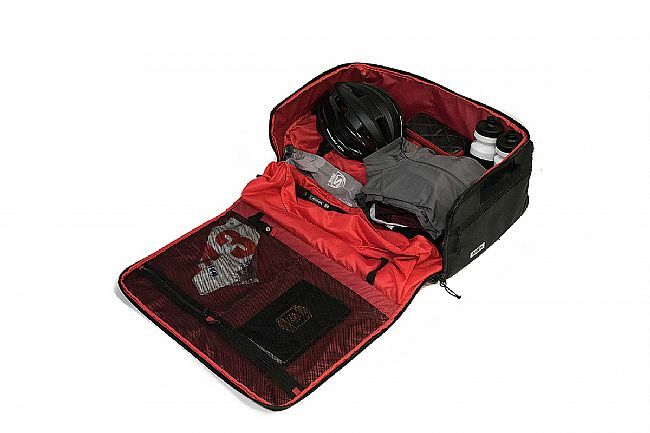 Maximizes airline carry-on size regulations. 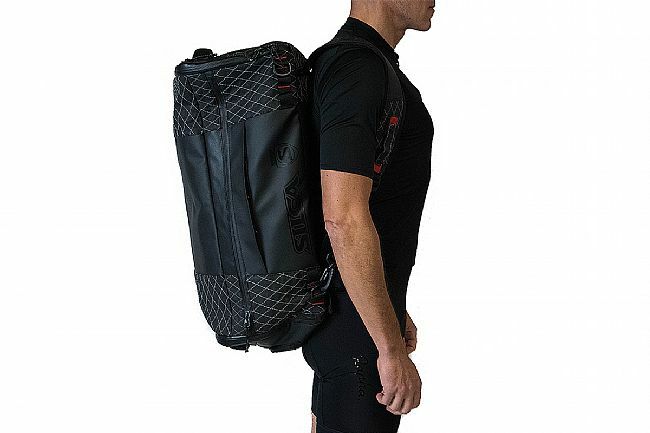 55 x 35 x 22cm; expands to 60 x 40 x 25cm.